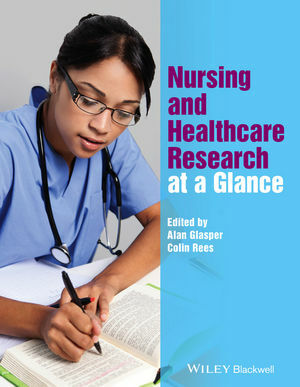 Nursing and Healthcare Research at a Glance is perfect for nursing and healthcare students, as well as newly qualified practitioners and anyone looking for a refresher or introduction to research. Covering a broad range of topics gathered under key sections, this essential book combines informative diagrams and images to provide memorable information for students on one page, and accessible, clearly written text on the facing page. It includes information on a range of quantitative and qualitative research methods, the process of gaining ethical permission, conducting research with special groups including children, and successfully conducting reviews of the literature. This book provides quick access to the principles and reality of research and its implementation within the education and practice environment. It is essential reading for anyone in health service education and service settings with limited time who need to draw on research evidence.